Washington: NASA`s Curiosity rover has discovered "tough" organic molecules in three-billion-year-old sedimentary rocks near the surface of Mars -- a finding that suggests the planet could have supported ancient life. 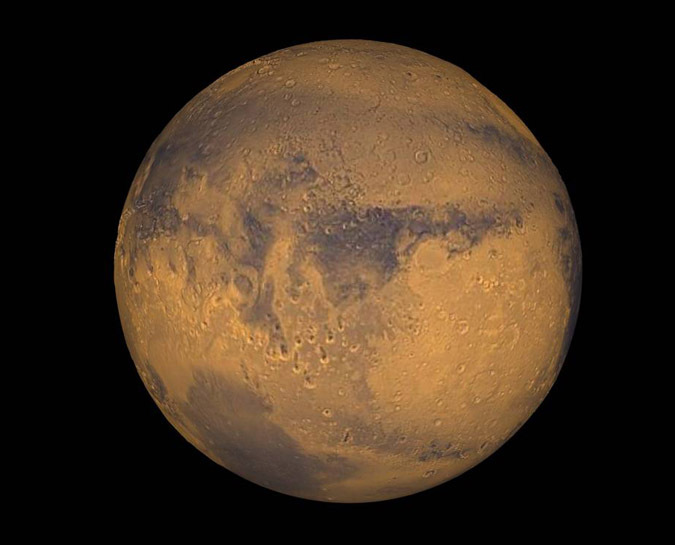 "With these new findings, Mars is telling us to stay the course and keep searching for evidence of life," said Thomas Zurbuchen, Associate Administrator for the Science Mission Directorate at NASA Headquarters, in Washington on Thursday. "I`m confident that our ongoing and planned missions will unlock even more breathtaking discoveries on the Red Planet," Zurbuchen said. While not necessarily evidence of life itself, these findings, detailed in two papers in the journal Science, are a good sign for future missions exploring the planet`s surface and subsurface. "Curiosity has not determined the source of the organic molecules," said Jen Eigenbrode of NASA`s Goddard Space Flight Center in Greenbelt, Maryland, who is lead author of one of the two new Science papers. "Whether it holds a record of ancient life, was food for life, or has existed in the absence of life, organic matter in Martian materials holds chemical clues to planetary conditions and processes," Eigenbrode said.